The eight auspicious sign of Hindu and Buddhist's in Nepal and Tibet. 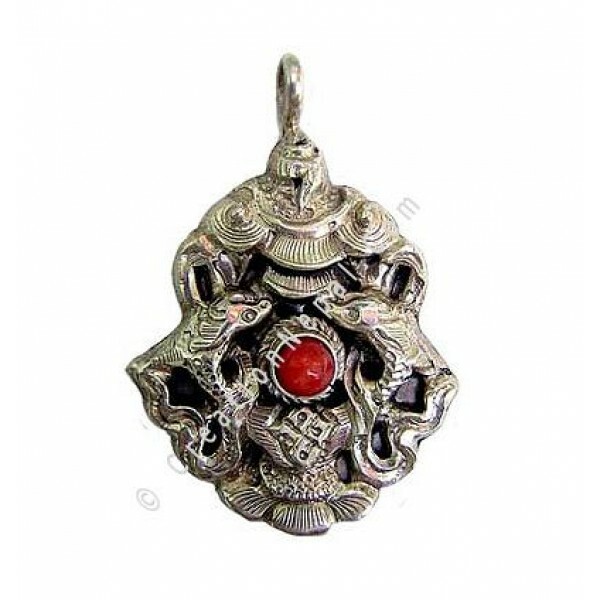 The pendant is made of pure silver with coral stone. Since the product is entirely handmade; NO two are alike, hence there can be a slight variation on given measurement.